IWC rating of 93+ points. 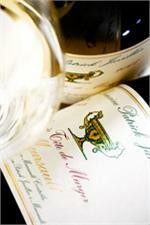 Knockout nose combines citrus and stone fruits, nutmeats, white truffle and a suggestion of grilled oak. 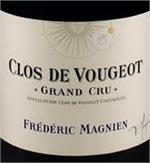 Silky, broad, ripe and rich; this really envelops the palate in sheer sappy extract. A bright ruby-red colour. A powerful wood-scented nose with hints of spices and menthol. Aromas of fruits such as cherries appear after aeration. The attack on the palate is straightforward. Spicy tannins are present, but well-balanced. ST 94 Antonio Galloni's Vinous, March 2017 94+ Medium red; not a dark 2014. Pungent, soil-inflected aromas of strawberry, raspberry, pomegranate, spices, dried rose, resiny minty herbs and minerals, with spice and orange zest topnotes. "A spicy style, less dense than many of its peers, yet intense and tightly wound, with cherry, clove, tobacco and mineral notes. The finish is firm and dry. Best from 2011 through 2017. 700 cases imported." Rating: 88/100 - As reviewed by Burghound in Issue 26, Apr 01, 2007. Louis-Fabrice Latour and winemaker Jean-Pierre Thomas (Jean-Pierre Jobard has now retired) told me that 2005 is a great vintage in red and an excellent vintage in white.